Shed Pricing - Amish Sheds Inc. If you know the size of Amish Shed that you are looking for, use the colour coded Pricing Chart to find the cost of a standard shed. The sheds are categorized by square footage. Remember, CONCRETE PAD NOT REQUIRED! 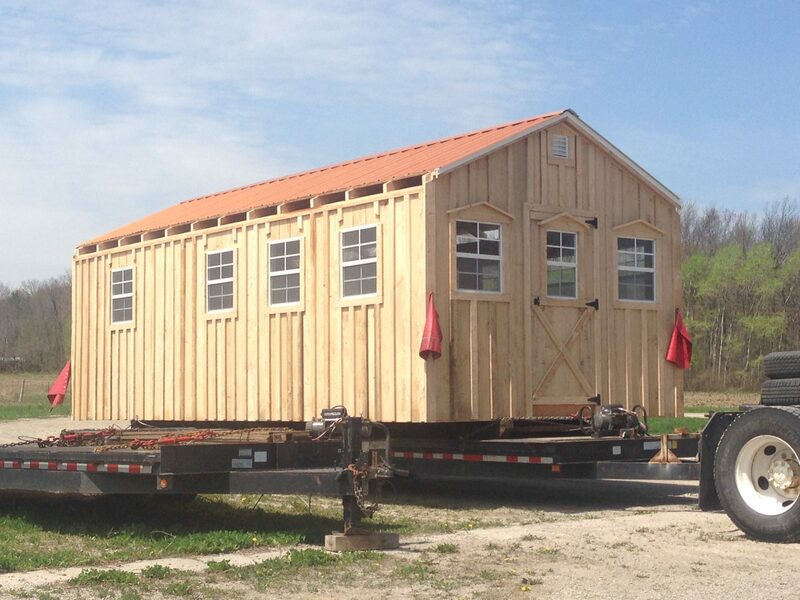 If you don’t want to crunch the numbers for your Amish Shed, feel free to Contact Us and we will be happy to do it for you. Payments can be made via e-transfer, certified cheque, or cash. 30% deposit required at time of order. Kits are limited to size depending on delivery access. For ease of assembly and safety, all kits require 3/4″ plywood floors and the 1″ Hemlock roof planks. All other shed options and designs apply. Please inquiry about the size that you are interested in. Worried about having extra headroom? If you need a loft, we can ship the floors, walls and loft floor all fully built and send the roof as a kit so that you can have that extra headroom and not worry about about our shipping height limitations. We can also ship you an entire kit with 8′, 9′ or 10′ walls. *Picture below shows a 12′ wide shed with the eaves not installed to keep within our 12′ wide shipping allowance.